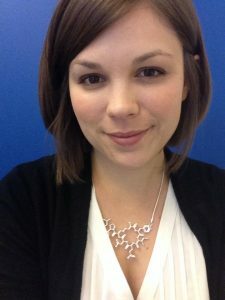 Ashley cares a lot about the SEO community in Raleigh & beyond. She started the Raleigh SEO Meetup 10 years ago with a simple mission – to create a community that can share information to enable all business owners and webmasters to make decisions to make better websites. She’s gone on to specialize in technical SEO and has worked with companies across virtually every vertical, smb to enterprise. She’s an international speaker in SEO with a proven client track record but what sets her apart is her passion for the people behind sites. SEO is a way for us to do better, to treat others better, and to share information with more people. The next level in SEO is going beyond the nuts and bolts to being a force for good in our communities and across the web. What is our responsibility as SEOs? What’s next in our industry? How do we become more compassionate and human? This presentation will talk about how this meetup got started, SEO as a global community, how SEO can bring information to people that have less access to data, high data costs, those with accessibility issues, and more while aligning with business and profitability goals. Few roles are positioned to generate business and to prioritize empathy the way that we are. In this session, we’ll talk about how we can do better and continue to grow SEO.